Spring is the busy season for Lincoln assassination events. Kate and I will be attending and participating in several of the offerings that will occur in the Maryland/D.C./Virginia area. As much fun as it is to research and write here on BoothieBarn, there’s something special about being out in public and sharing aspects of the Lincoln assassination with others, face to face. For those of you who live in the region, here are some of the upcoming Lincoln assassination talks that Kate and I (or some of our learned friends) will be giving that you might be interested in attending. Description: The Lincoln assassination story is filled with characters who play the part of background extras. They are men and women who very briefly enter the scene, play their small part, and then are forgotten. 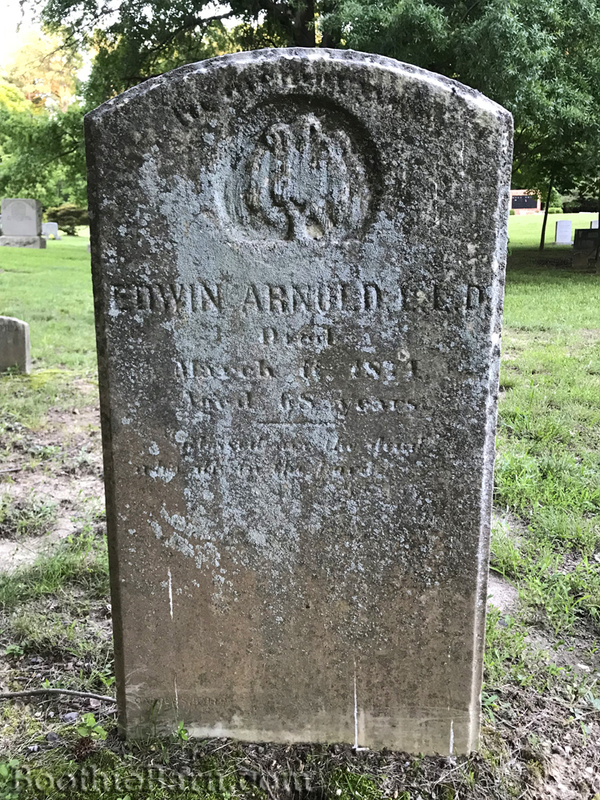 All of them are connected by their minor involvement with the events of April, 1865, yet many have fascinating personal stories all their own. In his speech, Dave will highlight some of these extra characters and talk about their hidden histories. Description: As the evening’s entertainment for the Surratt Society’s annual Lincoln assassination conference, Kate will perform her one woman show depicting Mary Surratt as she reflects on her life and choices in the hours leading up to her execution. Cost: Dave and Kate’s speeches are two of the seven that will be presented at the annual Surratt Society Lincoln Assassination Conference on the weekend of March 31st – April 2nd. The day of speakers is on Saturday, April 1st. The cost of the full conference is $200. The event is always worth the cost and filled with fascinating discussions about so many aspects of the Lincoln assassination story. Other speakers this year include, Dr. Blaine Houmes, Karen Needles, Burrus Carnahan, Scott Schroeder, and William “Wild Bill” Richter. Please visit: http://www.surrattmuseum.org/annual-conference for full details and registration information. 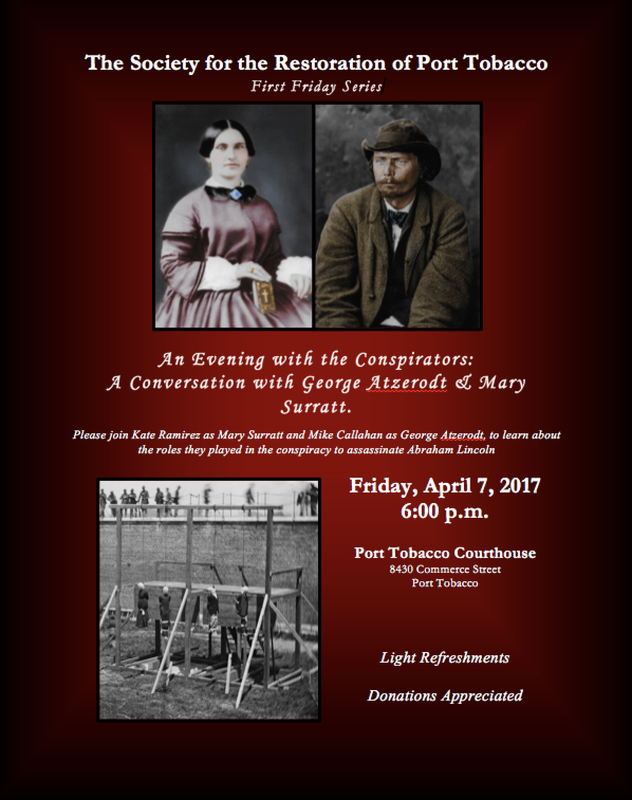 Speaker: Kate Ramirez Description: Join Kate Ramirez and Mike Callahan as they portray conspirators Mary Surratt and George Atzerodt and discuss their involvement in the assassination of Abraham Lincoln. Cost: Free. Donations to the Society for the Restoration of Port Tobacco appreciated. Speaker: Dave Taylor Description: Dave is one of the narrators for the Surratt Society’s John Wilkes Booth Escape Route Tour. The 12 hour bus tour documents the escape of the assassin through Washington, D.C., Maryland, and Virginia. 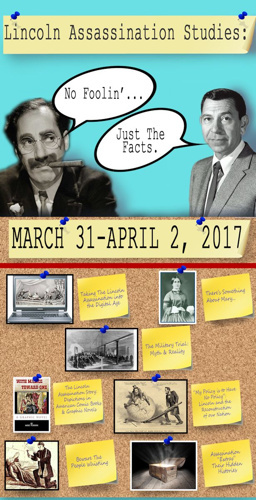 While Dave will only be narrating the April 8th tour, there are other tours set for April 15th and 22nd. Please call the Surratt House Museum to see if there is any availability left on these tours. If they are booked up, Dave and the other guides will also be conducting tours in the fall. 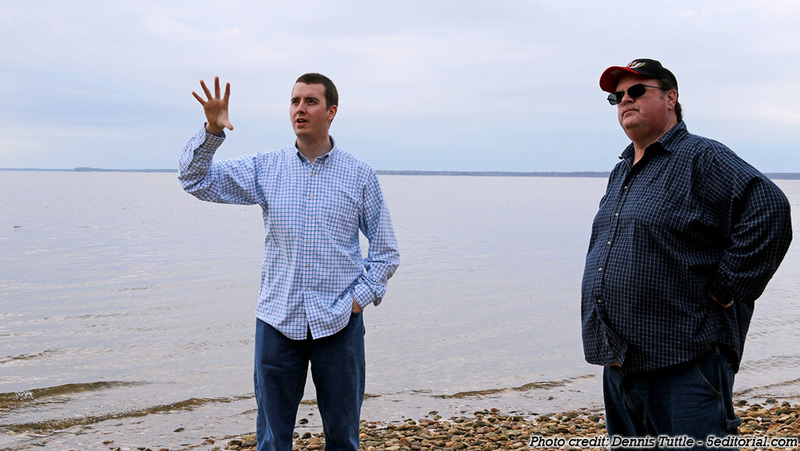 Speaker: Dave Taylor and Kate Ramirez Description: Dave and Kate will conduct walking tours of Port Royal, giving the history of some of the landmarks connected with the escape of the assassin. Interested participants should park and meet at the Port Royal Museum of Medicine (419 Kings St., Port Royal, VA 22535). The entire tour is about one mile of walking. 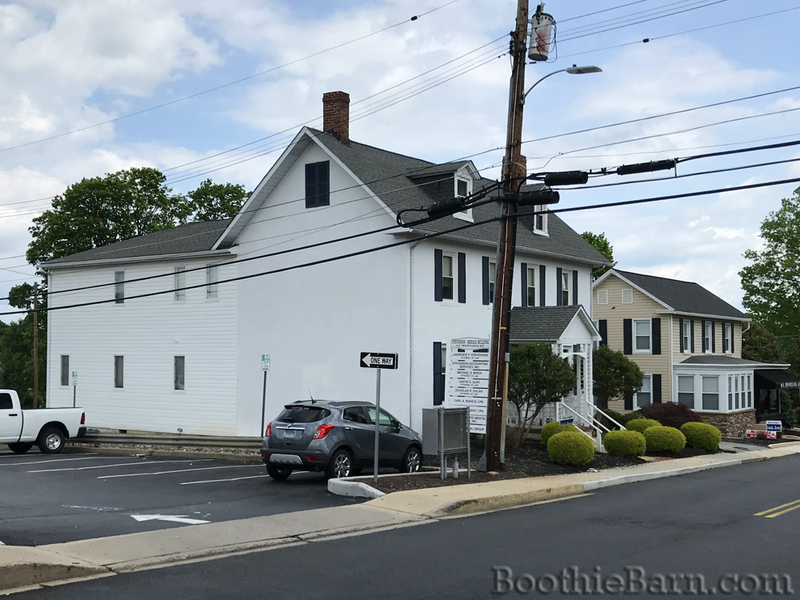 At the end, participants will be instructed to drive across 301 to the Port Royal Museum of American History (506 Main St., Port Royal, VA 22535) where they can view artifacts relating to John Wilkes Booth and enjoy some light refreshments. Cost: The suggested donation for the tour is $10 per person and all proceeds benefit Historic Port Royal’s museums. 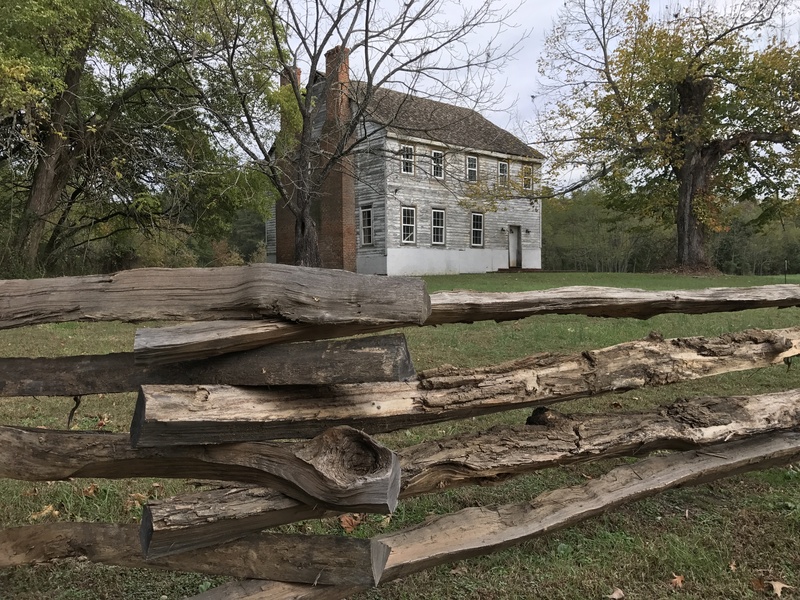 Speaker: Dave Taylor and Kate Ramirez Description: Come out and see the progress that has been done on the restoration of Rich Hill, one of the stops on John Wilkes Booth’s escape. Dave and Kate will both be there in costume to give talks and answer questions about the house and its history. Cost: Free, but donations encouraged in order to facilitate the restoration of the home. Speaker: Jim Garrett Description: Lincoln assassination author and speaker, Jim Garrett, will be presenting about John Wilkes Booth at the Booth family home of Tudor Hall. Since Kate and Dave will be at Rich Hill all day, they’d really appreciate if someone could go and heckle Jim on their behalf. Speaker: Kate Ramirez and Betty Ownsbey Description: Once a quarter, Fort Lesley J. McNair opens up the third floor of Grant Hall, the site of the trial of the Lincoln conspirators, to the public. Visitors can see the restored courtroom, the site of the conspirators execution, and different artifacts relating to the assassination and the 2010 movie, The Conspirator. Historian Betty Ownsbey is usually present to tell the history of the assassination and trial while Kate will be there in the persona of Mary Surratt to share her story with visitors. Cost: Free, but registration is required for entry into the military base. When registration opens a link will be supplied. Description: On April 26, 1865, the manhunt for the murderer of President Abraham Lincoln came to fiery end when John Wilkes Booth, trapped in a burning tobacco barn in Virginia, was shot and killed after refusing to surrender. With the assassin dead, attention turned to his group of co-conspirators. Nine individuals would eventually be put on trial for their involvement in Lincoln’s assassination, with four paying the ultimate price. In this speech, Dave will delve into the lives and actions of the four conspirators who helped plot the death of Abraham Lincoln and then followed him to the grave. Cost: This speech is a private event for the museum’s volunteers but, if you are interested in attending, please email Dave. You also might see us out and about in costume. Kate is a docent for the Dr. Samuel Mudd House Museum and can be found giving tours there on a regular basis. In addition to the scheduled bus tours, I can sometimes be seen giving escape route tours for private groups. 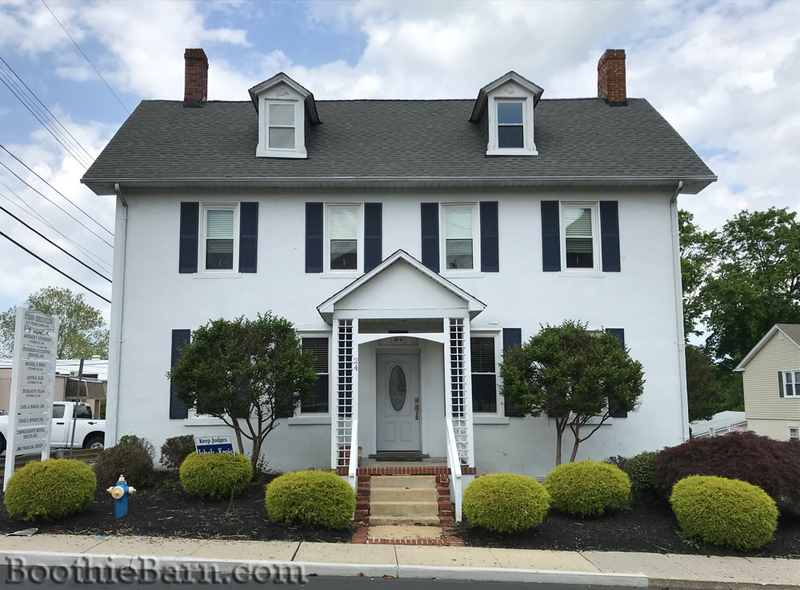 If you have a private group or organization that is interested in booking your own escape route tour, you can contact the Surratt House Museum to make arrangements and can request me as your tour guide. A condensed version of our upcoming speaking engagements can always be found on the sidebar menu for desktop users and near the bottom of the page for mobile users. Kate and I hope to see you out in the real world and we thank you all for your support. 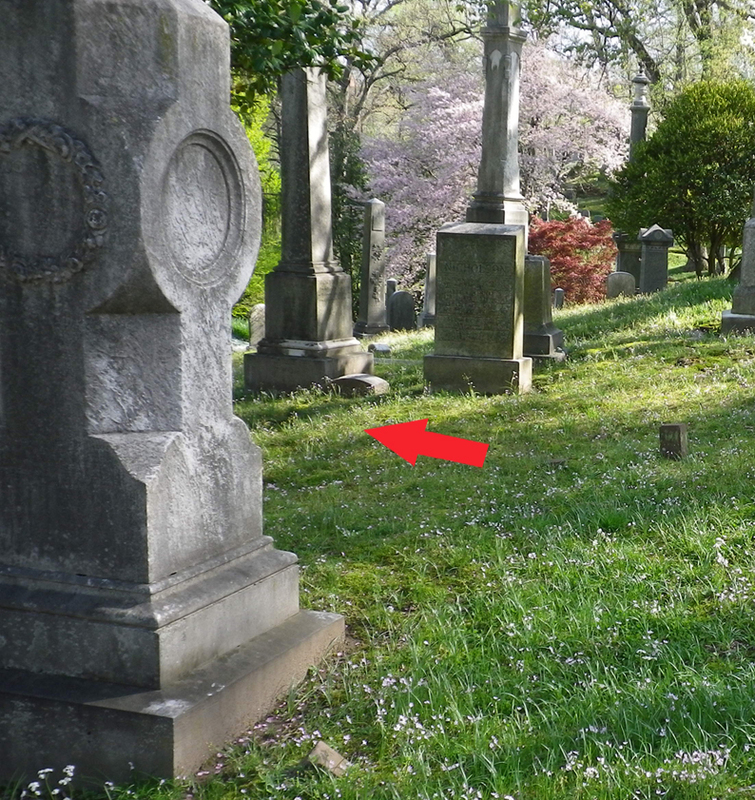 Burial Location: Oak Hill Cemetery, Washington, D.C.
Frederick Aiken was one of Mary Surratt’s defense counsels at the trial of the conspirators. A dramatic version of his exploits during the trial was the subject of the 2010 movie, The Conspirator, starring James McAvoy and Robin Wright. During the course of researching for the film, it was discovered by researcher Christine Christensen that Aiken had been buried in an unmarked grave in D.C.’s Oak Hill Cemetery. 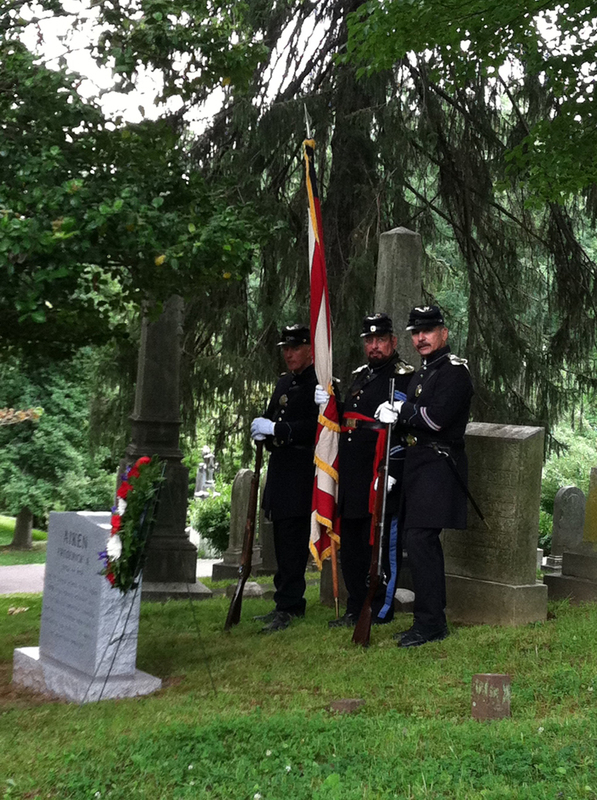 The Surratt Society completed a fundraiser to mark Aiken’s grave. 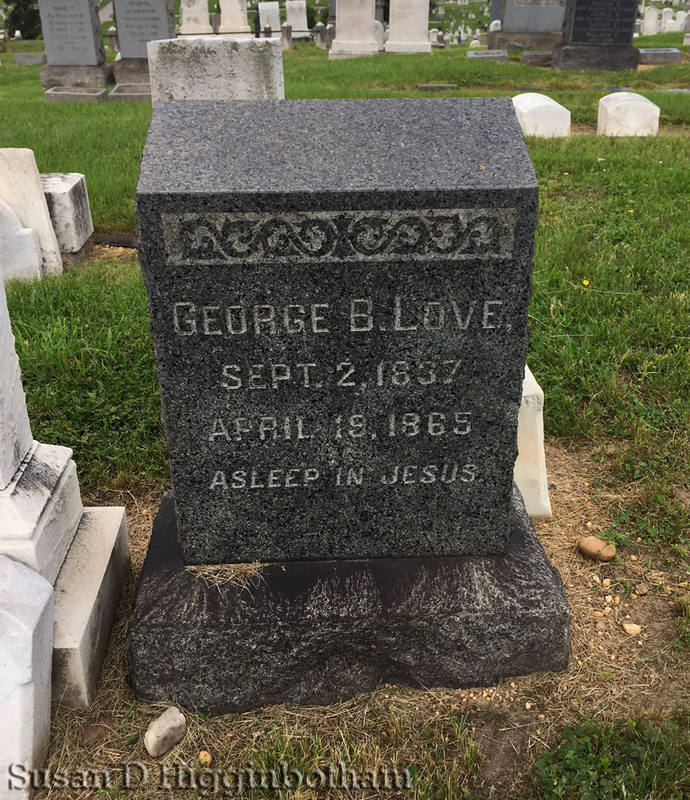 I briefly posted about the installment of the grave marker in 2012. I highly recommend Christine Christensen’s article about Aiken’s life called, Finding Frederick. 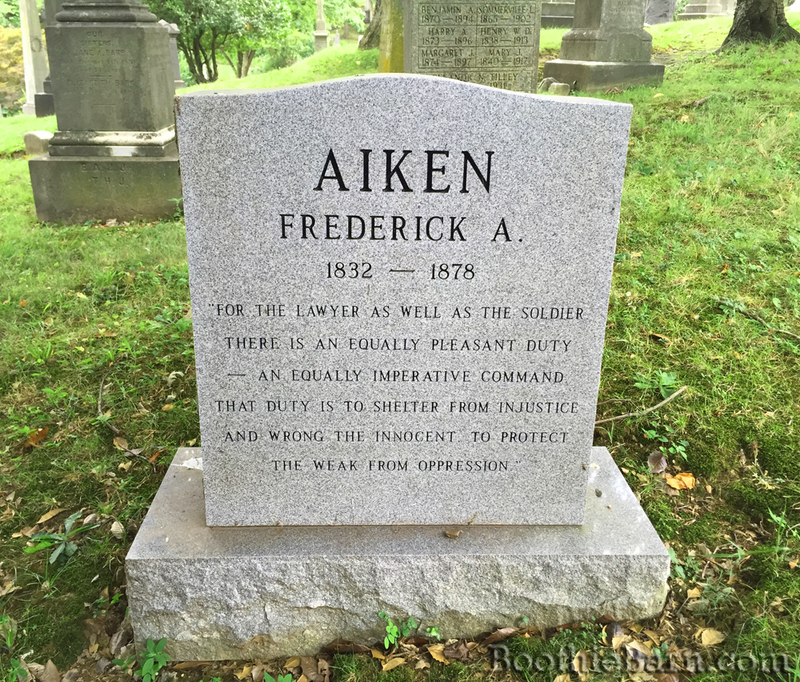 Coincidentally, Frederick Aiken is buried within throwing distance of another attorney at the trial of the conspirators, William Smith Cox, the lawyer who represented Michael O’Laughlen. Later, Walter Cox would be involved in a trial for another assassinated president when he was the presiding judge at the trial of Charles Guiteau, the assassin of President James Garfield. As much fun as it is to research and write here on BoothieBarn, there’s something special about being out in public and sharing aspects of the Lincoln assassination with others face to face. Today I had a wonderful time meeting and showing off a few of the Maryland sites of Booth’s escape route with D.C tour guide Rick Snider and his friend Dennis. Rick offers many tours in D.C., including a walking tour of Lincoln assassination sites. My afternoon with Rick and Dennis reminded me of some of the upcoming speaking events that Kate and I have in the next few weeks. Spring is the busy season when it comes to the assassination story and so the following are times and places when you can come out and heckle meet us in person. We always love chatting with folks and answering questions about this fascinating period of history. Description: Over the last few weeks, Kate and I have been developing an interactive school program in the same style of the classic “Choose Your Own Adventure” book series. Like the book series, the text is written in second person point of view with the participants taking on the role of a member of Booth’s conspiracy. They are presented with the story of the Lincoln conspiracy and must make decisions to either help or hinder John Wilkes Booth’s plot. The presentation is filled with historical facts and will eventually include a Informational Packet for supplementary info about the people, places, and actions in the story. As part of the Charles County Public Schools’ HITS Expo (think combination History Day and Science Fair) I will be presenting a pilot version of this presentation from 12:00 until 1:00 pm in a classroom and will then be at an informational table for the remainder of the time. 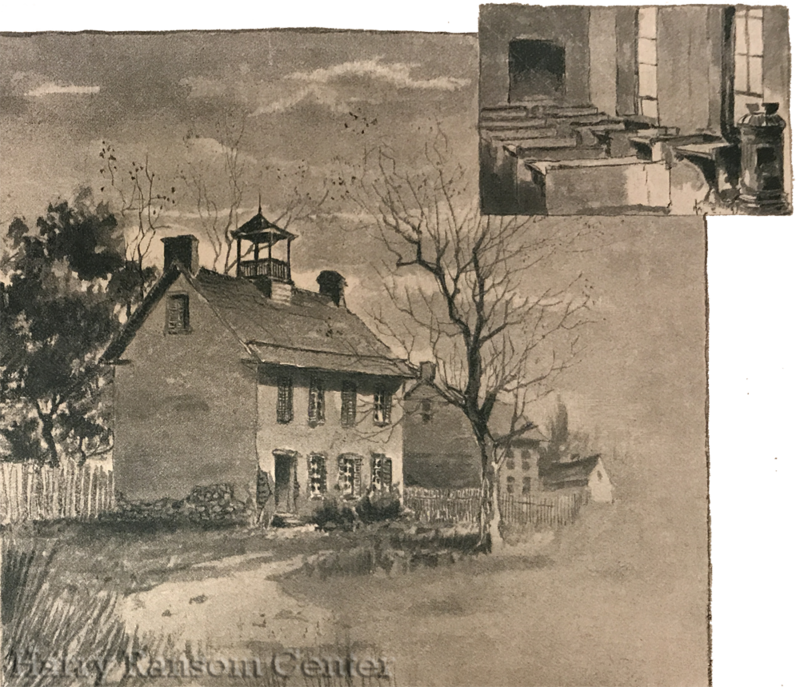 The event is open to the public and many other history and science presenters will be there includinh the Maryland Historical Society and rangers from Thomas Stone National Historic site. Want to make it a full day of events on March 19? After coming to see me in Waldorf, drive up to nearby Clinton and go to the Surratt House Museum at 4:00 pm. Author and blogger Paula Whitacre will be presenting her in depth research on Julia Wilbur, a member of the Rochester Ladies Anti-Slavery Society who lived in Alexandria and Washington D.C. during the Civil War. I was able to see Ms. Whitacre speak on the fascinating diaries of Julia Wilbur last year and used much of her research to write a couple of blog posts regarding Julia Wilbur’s Lincoln assassination experiences. For more information about Ms. Whitacre’s presentation, visit the Surratt House Museum website. Description: As part of Tudor Hall’s 2016 speaking series, I will be presenting about the often forgotten Booth sibling, Rosalie Booth, highlighting her life and contributions to the illustrious Booth family. More information can be found here. Description: Kate will be examining the evidence against conspirator, Mary Surratt, and whether the evidence presented at her trial warranted her execution. Cost: Kate’s speech is one of six that will be presented at the annual Surratt Society Lincoln Assassination Conference on the weekend of April 8th – 10th. The cost of the full conference is $175 (and is totally worth it since the Surratt Conference is pretty much a Boothie’s Comic-Con). Visit: http://www.surrattmuseum.org/annual-conference for full details and to register. Description: I am the tour guide/narrator for this date’s John Wilkes Booth escape route bus tour. The approximately 12 hour bus trip documents the escape of the assassin through Washington, D.C., Maryland, and Virginia. It is pretty much a full day of me endlessly talking and telling you the story of Booth’s escape while you fall asleep on the bus after a delicious lunch at Captain Billy’s Crab House. It is hands down my favorite “speech” to give. Description: A memorial event is being planned to honor the 87 lives that were lost in the Potomac River when the USS Massachusetts struck the Black Diamond anchored off of St. Clement’s Island. I will speak on the event and how the tragedy was ultimately collateral damage from John Wilkes Booth’s crime. More information on the entire event will be published in the future. 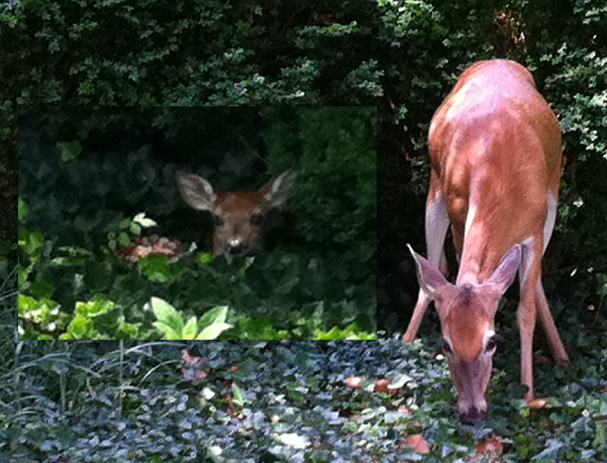 Description: Jim is a good friend of ours who is a tour guide for D.C.’s Old Town Trolley Tours. Jim’s co-written a couple books on the assassination and is a very lively speaker. He’s also a man in need of a good heckle. Kate and I hope to make it up to one of Jim’s talks at Tudor Hall and will have plenty of extra tomatoes if you would like to join us in throwing them at him. 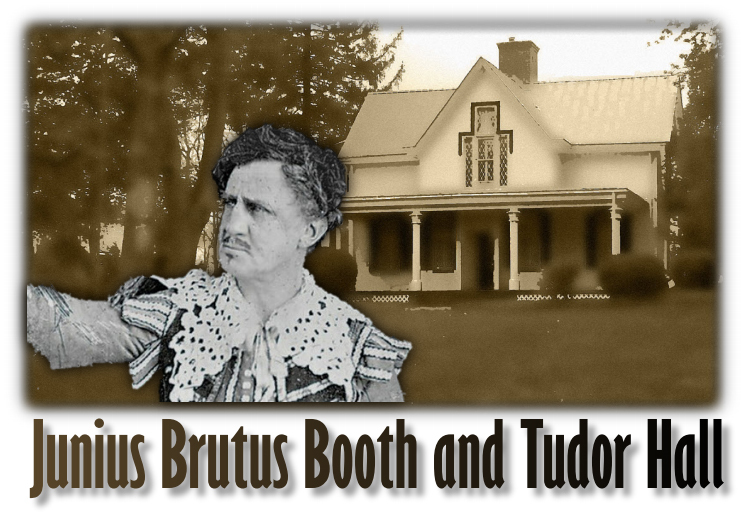 Jim will be a busy guy at Tudor Hall giving this Junius speech again on July 10th along with another speech on John Wilkes Booth on June 5th and August 7th. More information can be found here. Description: Kate will be examining Edwin Booth’s magnificent theatrical ability framed in the context of the tragedies that shaped his life. More information can be found here. In addition to these scheduled talks and tours, Kate and I can also be found as participants in other assassination related events. On April 14th, we will be attending a nighttime tour of Ford’s Theatre narrated by Manhunt author, James Swanson. You also might see us out and about in costume. Kate is a docent for the Dr. Samuel Mudd House Museum and can be found giving tours there from time to time. I am also available as a narrator for Booth escape route bus tour for private groups. You can contact the Surratt House Museum to make arrangements for your group and can request me as your tour guide. You can also find a condensed version of our upcoming speaking engagements on the sidebar menu for desktop users and near the bottom of the page for mobile users. We hope to see you out in the real world sometime and thanks for all your support. BoothieBarn Live on Fox 5! Admittedly, I made a couple slip ups during the interview. I caught myself after accidentally saying that Dr. Mudd broke John Wilkes Booth’s leg rather than setting Booth’s broken leg. I also gave the wrong weekend for the upcoming Symposium at Tudor Hall. That symposium is taking place on May 9th and you should all sign up for it today! Well, I’m off to Port Royal now. At 2:00 pm we are having an unveiling ceremony at the Port Royal Museum of American History. We will be unveiling the new highway marker that has been placed near the site of John Wilkes Booth’s death, 150 years ago today. Keep an eye on my Twitter for details. It has been just over a year since I joined Twitter with the username, @BoothieBarn. I will be honest and say that, at first, I questioned whether this “social media” site would truly benefit me or my blog in anyway. The Lincoln assassination is hardly a common topic in typical social media interactions. As opposed to animations of cats or angry rantings about politics, celebrities, sports, etc., I wanted to hold my Twitter account to the same standard as this site. My goal was to provide educational and informative tweets about Lincoln assassination topics, articles, and events. So, uncertain if I would sink or swim, I decided to test the waters and see what this Twitter thing was truly like. I’m happy to say that, time and time again, my decision to join Twitter has proved to be a wonderful choice. Through Twitter, I have discovered a brand new world of connected history. Devoted historians, both professional and amateur, use Twitter to share their discoveries and new thinking about the past. I have used this “social media” site to connect with individuals, organizations, and museums around the country in meaningful and collaborative ways. I’ve learned so much about a huge range of topics far beyond the Lincoln assassination. Here’s a small sampling of some of the different people/organizations I follow using Twitter. The reason I state all of this is twofold. First, I say all of this to slightly motivate you, my blog readers, into thinking about joining Twitter yourself. Trust me when I say that Twitter is far more than inane, juvenile chatter about TV shows and celebrities. If you follow the right people and groups, Twitter can be as educational as a text book. It’s completely free to join and you don’t even have to tweet anything yourself. You can just register, select or search for people to follow, and watch as your Twitter feed provides you with updates when those people tweet something. 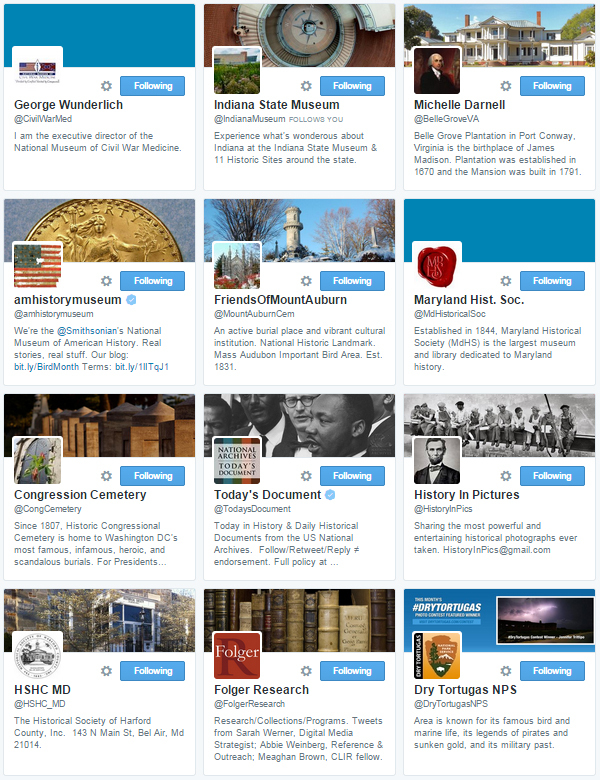 The more you explore the more you’ll find that many of your favorite museums or groups are on Twitter providing great material to the masses. The second reason I am saying all of this is to make you aware that Twitter is a great resource for Lincoln assassination content. Between Ford’s Theatre (@fordstheatre), the Spirits of Tudor Hall (@SpiritsTH), and me (@BoothieBarn), I can promise you consistent updates about things going on in the field. 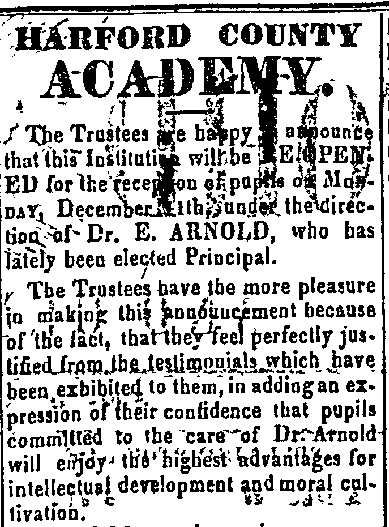 This is particularly true now thanks to a wonderful initiative started by the Ford’s Theatre Society. A couple weeks back, Ford’s Theatre started a hashtag called #Todayin1865. By putting a hashtag (#) in front of a word or phrase in Twitter, you create a searchable link for other tweets with the same phrase. Therefore, by clicking the hashtagged phrase, #Todayin1865, you can quickly find all other tweets that contain that phrase. Ford’s Theatre has been using that hashtag to tweet about Lincoln’s final days before his assassination. I have jumped on the bandwagon, so to speak, and I have also started using the #Todayin1865 hashtag to discuss the activities of John Wilkes Booth and his conspirators during this time 150 years ago. While real life events have kept me from tweeting with this hashtag everyday, I am making a strong effort to keep up at least until Booth’s death on April 26th. Another hashtag that I will be using soon is #Surratt15. This hashtag is in connection with the 2015 Surratt Society Lincoln Assassination Conference happening this weekend in Clinton, Maryland. For those of you who can’t make it, I will be tweeting quotes from the different speakers and events during the weekend conference. Check my Twitter account often this weekend and follow what occurs at this annual Boothie get together. The best way to keep apprised of what I (and others) tweet is to join Twitter and follow me, but here are all three ways you can stay connected. You can always catch up on my tweets when you’re visiting this site. There is a Twitter widget on the main page. My most recent tweets should show up on the right underneath the most recent comments here on BoothieBarn. This is the best way to go. Even if you don’t want to make tweets, having an account allows you to get notifications every time I tweet a tweet. Setting up an account is quick, easy, and free. Sign up at Twitter.com and start connecting with others. At the very least, I hope you’ll try checking out my Twitter feed in the coming months. I will be very busy for the foreseeable future with different activities and events relating to the 150th of Lincoln’s assassination. This will severely limit the time I have to write full posts for this blog, which generally take me awhile to do. 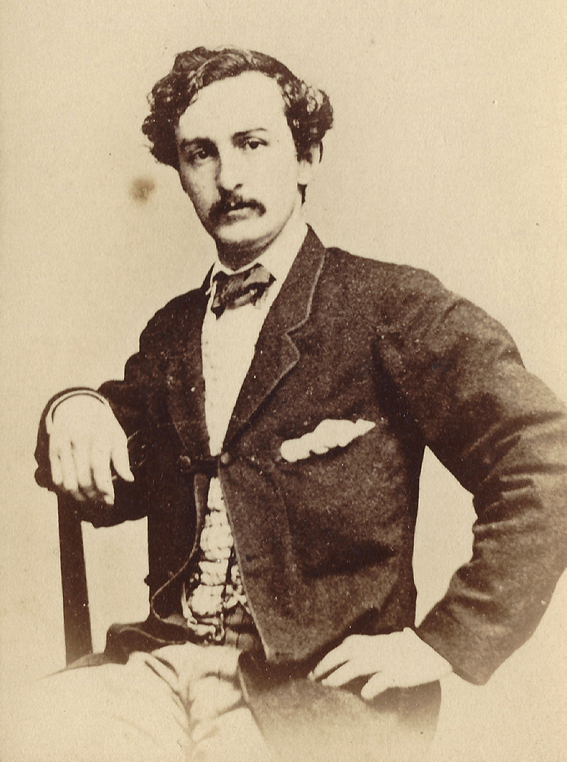 To make up for it, I’ll be doing a lot of tweeting about the things I’m up to and John Wilkes Booth’s activities #Todayin1865. It’s an exciting time to be a Boothie, and I hope you’ll join me in using Twitter to expand awareness and knowledge about this pivotal point in American history. 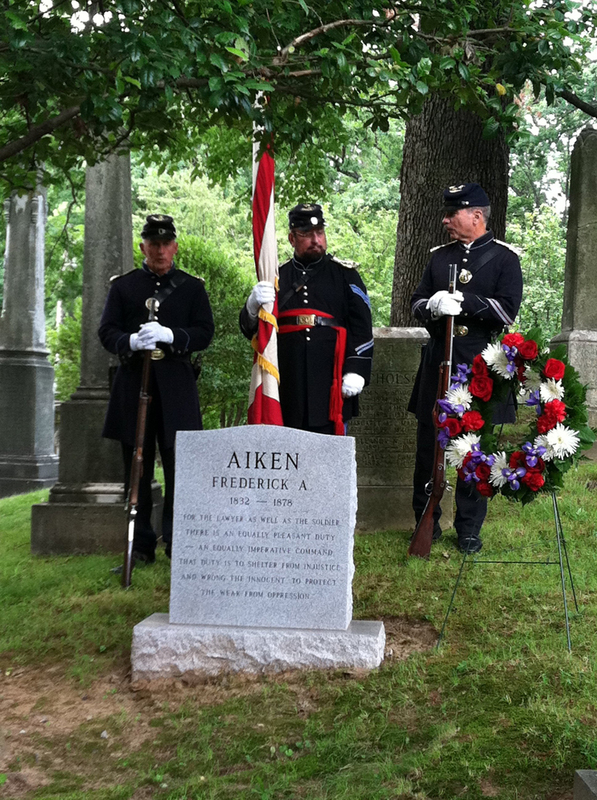 On June 14, 2012, the Surratt Society dedicated a new grave marker for Frederick A. Aiken. 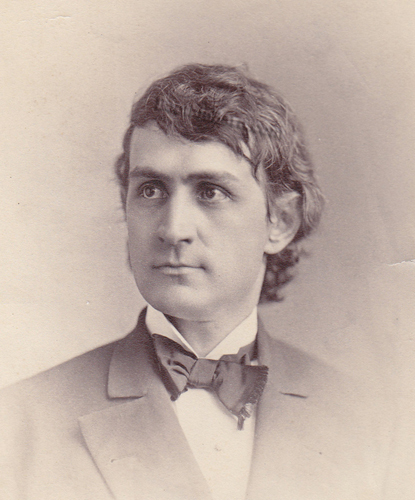 Mr. Aiken was part of Mary Surratt’s legal consul during the Conspiracy trial. 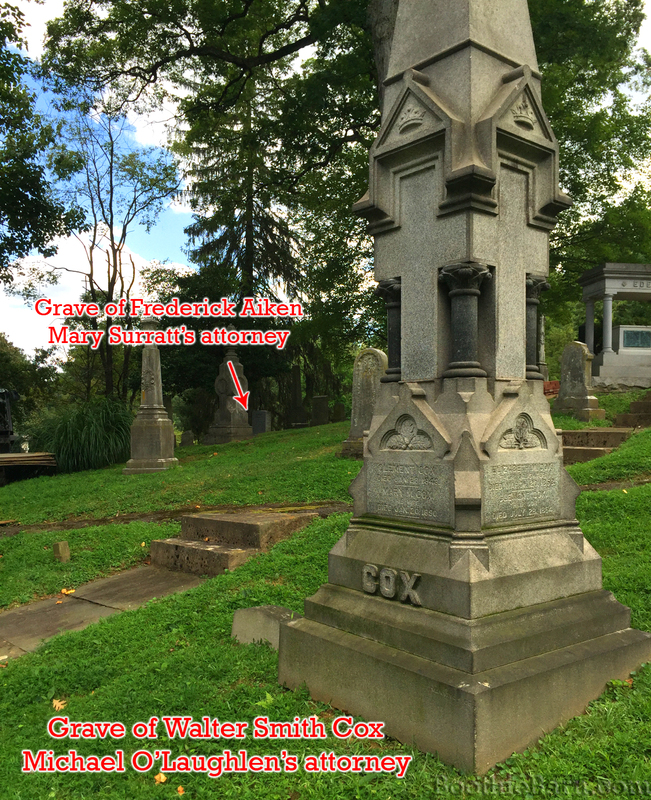 The production and release of Robert Redford’s film about Mary Surratt and Frederick Aiken entitled The Conspirator, led to the discovery by researcher Christine Christensen that Mr. Aiken was buried in an unmarked grave in Washington D.C.’s Oak Hill Cemetery. 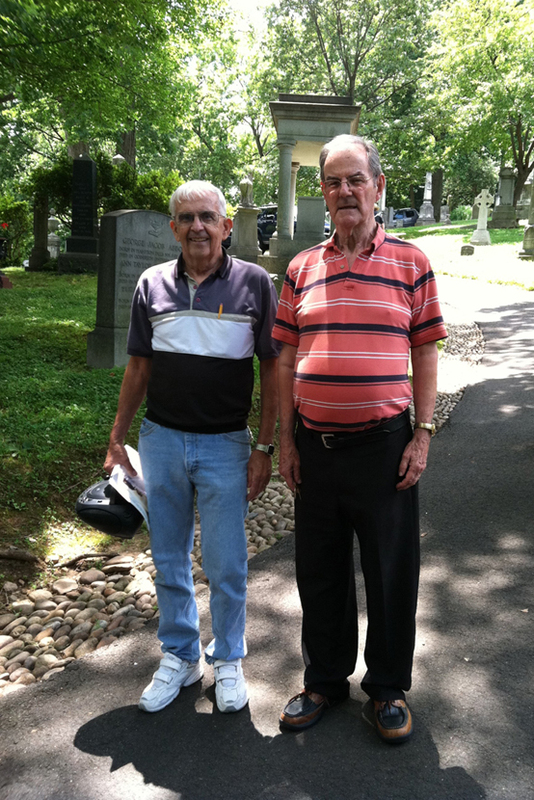 A descendant of the Aiken family (left) and Clampitt family (right). Sadly, Frederick Aiken had no children of his own and so he has no direct line.